If you own a farm or stable horses, you know the importance of having a reliable, sturdy fence to keep your horses in and other animals out. 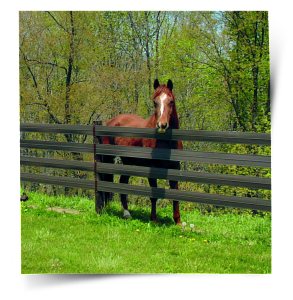 Here at Anello Fence, we offer a wide variety of horse fences to match the look and style you are going for. Not only do our fences improve the look of your property, they are made from the highest quality and will last a lifetime. Unlike many of our competitors, we never use fence materials that can hurt or injure your horse (such as barbed wire). That being said, our horse fences are built to withstand large forces, guaranteed to keep your horse within your property. If you are interested in learning more about how we can install your new horse fence, give us a call or click below to send us a message!